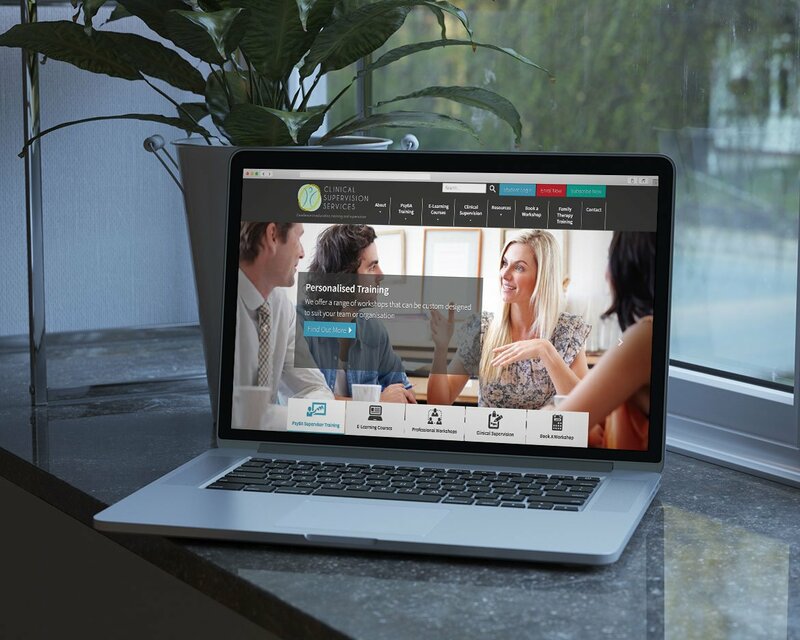 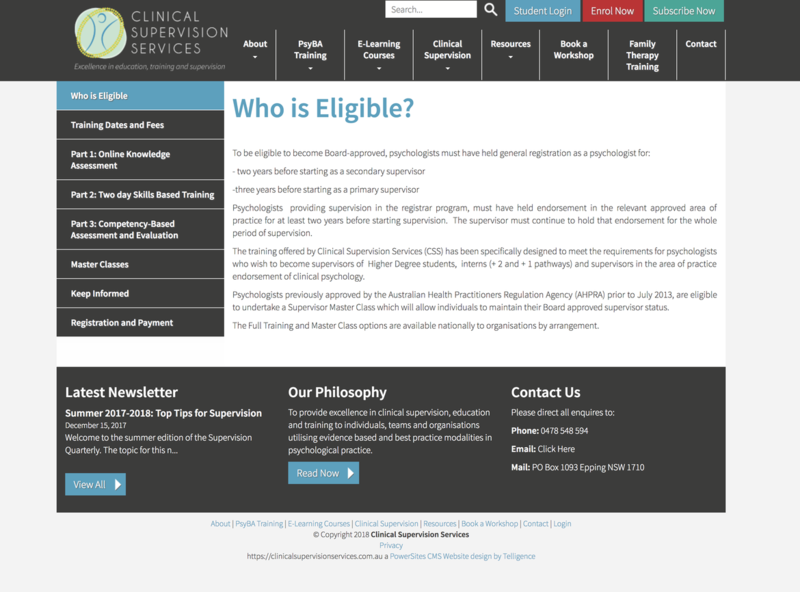 The team at Telligence have smashed out an amazing website for Clinical Supervision Services. 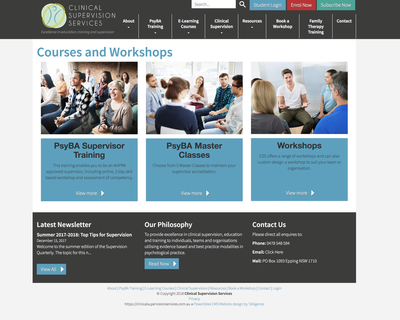 They provide excellence in clinical supervision, education and training to individuals, teams and organisations utilising evidence based and best practice modalities in psychological practice. 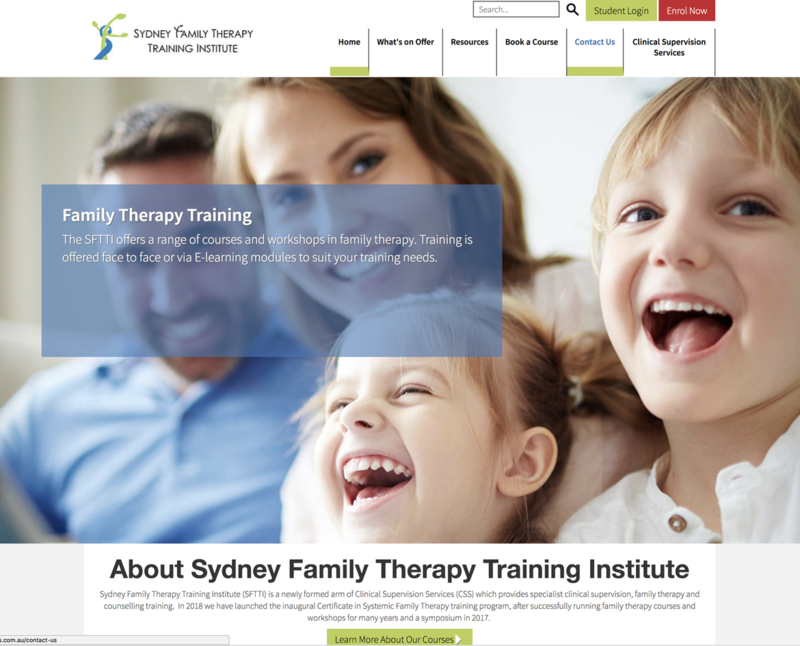 Clinical Supervision Services and the Sydney Family Therapy Training Institue use our Online Course Module which allows them to conduct training courses, take registrations, payments for courses and issue certificates on completion of their students training. 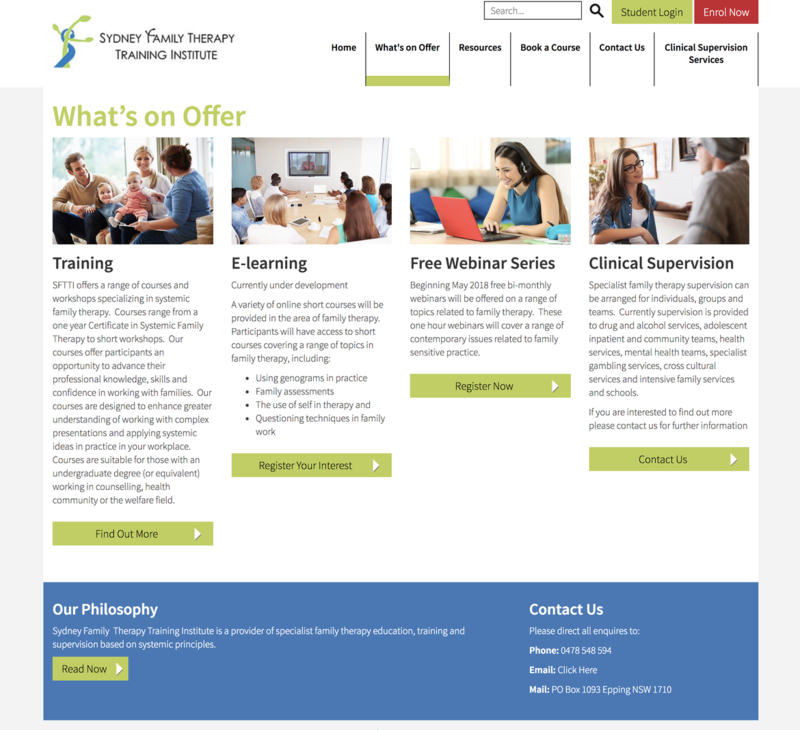 Go and have a browse thorugh their website to see how it works and sign up if you are interested in taking one of their courses.